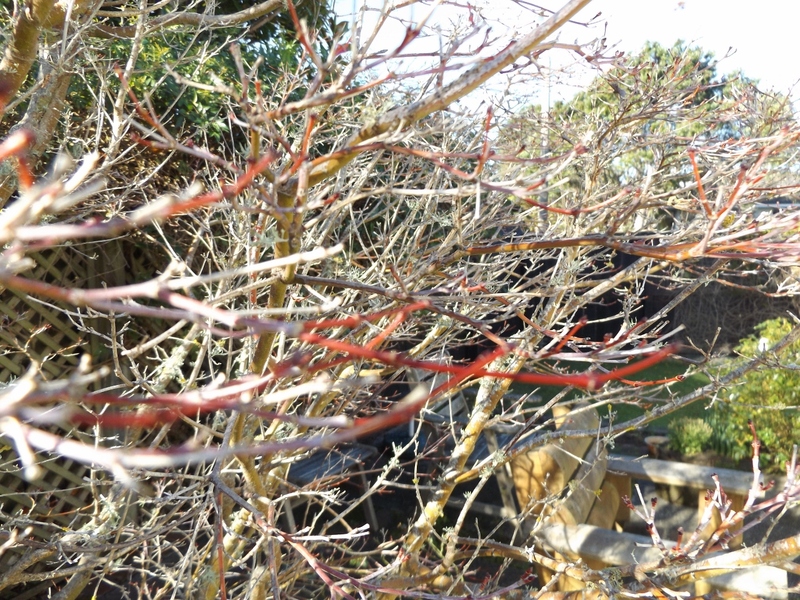 The sunlight is low and activity levels in the garden are generally low too, given it is winter. 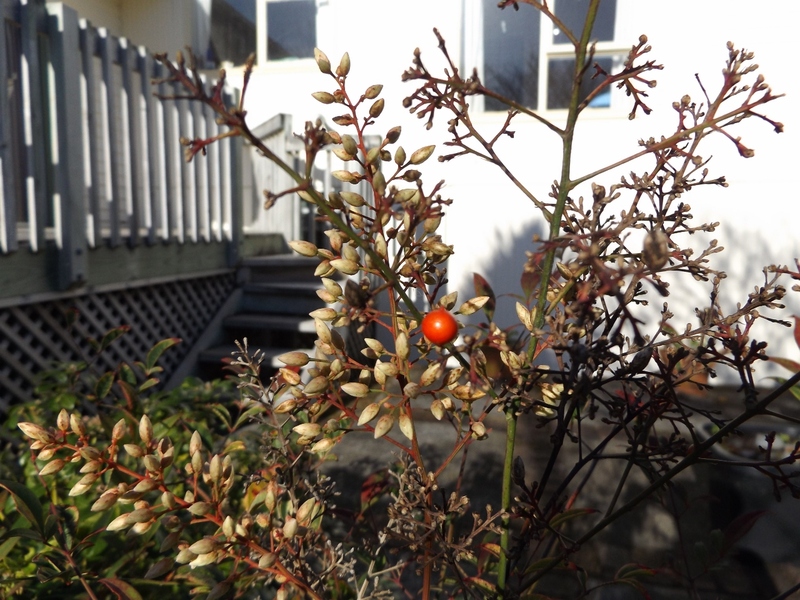 But there are signs here and there of plant life that provides for interest in this season of quiet. 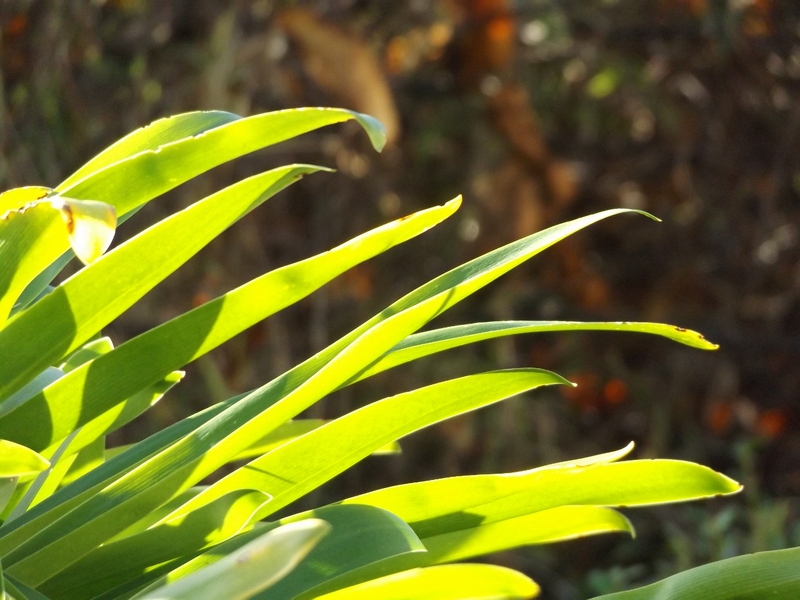 This entry was posted in Uncategorized and tagged agapanthus leaves, cotoneaster leaves, dwarf nandina, garden, hyacinth, Japanese maple tree branches, Magnolia tree, nature, photography, plants, sparrows, sunlight, Winter, zygocactus on June 28, 2015 by ordinarygood. 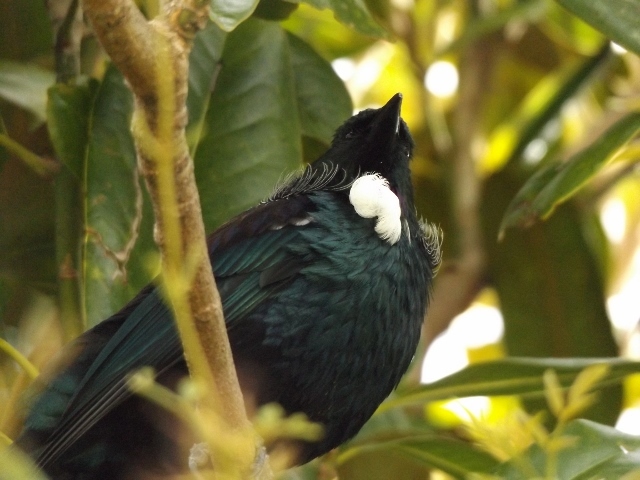 This entry was posted in Uncategorized and tagged Autumn, birds, contemplation, contemplative photography, light, Magnolia tree, nature, New Zealand native birds, photography, Tui on April 24, 2015 by ordinarygood. 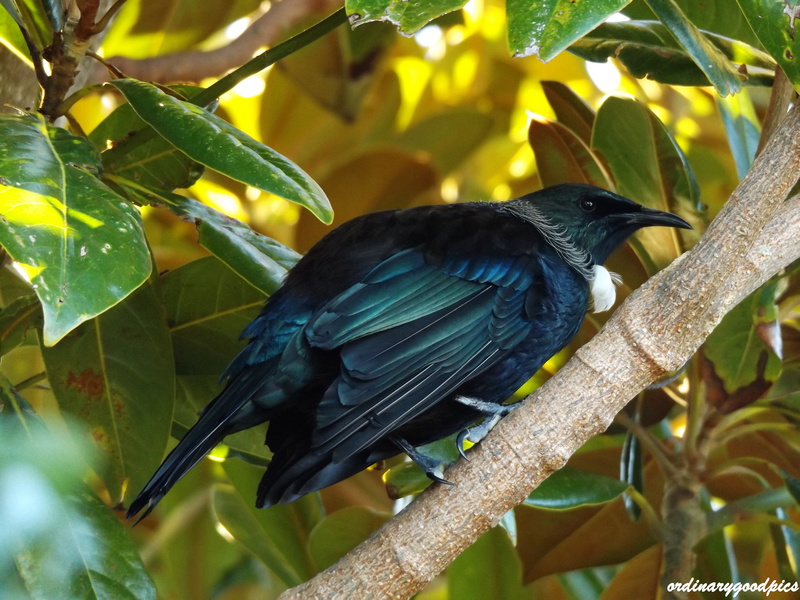 This entry was posted in Uncategorized and tagged Magnolia tree, nectar feeders, New Zealand birds, photography, spring, Tui on October 29, 2014 by ordinarygood. There is definitely a change out there in the bird-o-sphere. The Sparrows and Blackbirds have been seen arguing over possible mates as the breeding season approaches even though for the humans it feels very much like the depths of winter, with spring a long way away. 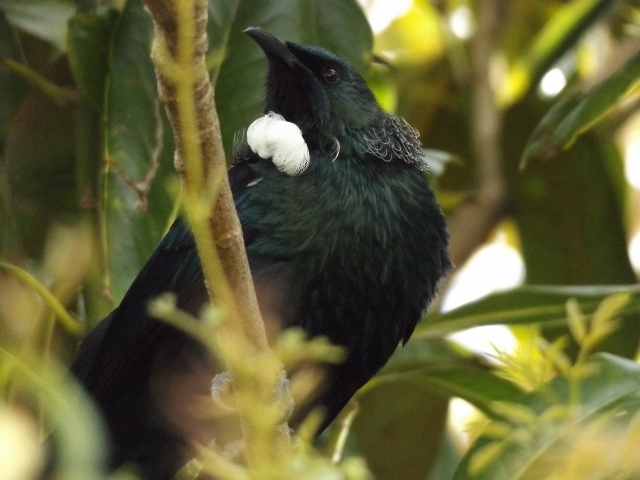 In the past week the Tuis have changed their behaviours noticeably too. 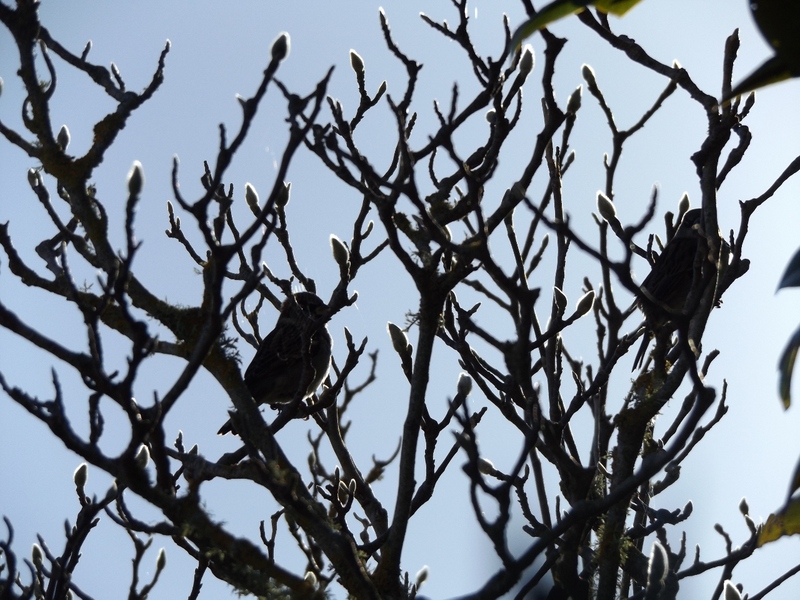 Groups have been visiting the Magnolia tree with all manner of chasing and flapping and branch hopping. 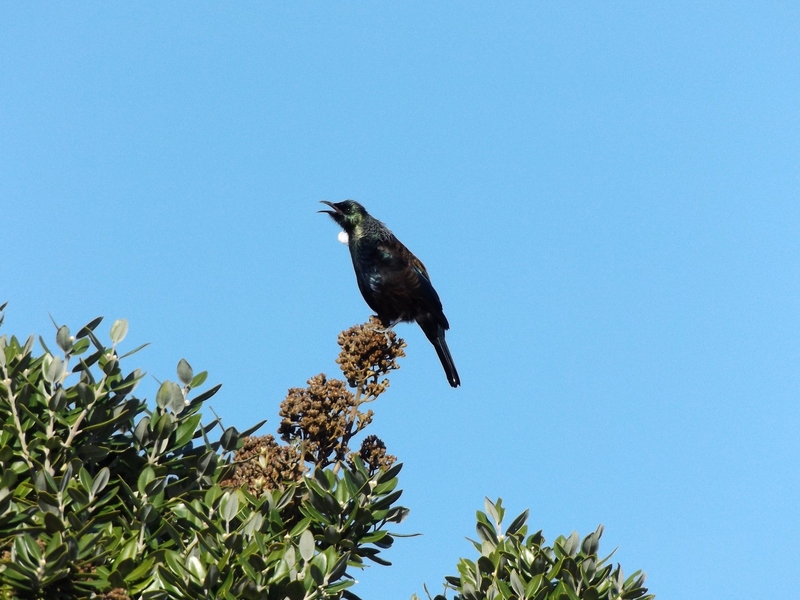 There has been an increase in singing from the tops of trees as witnessed here. 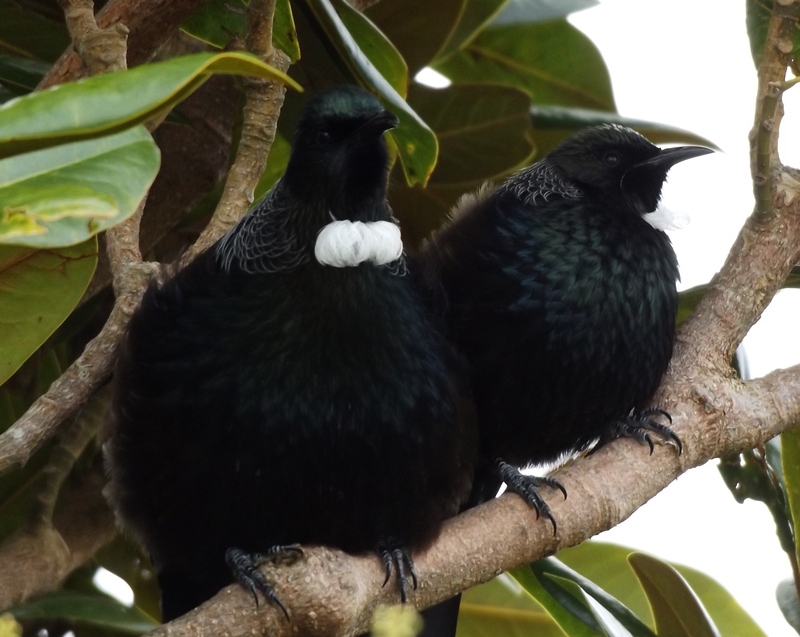 Then yesterday after hearing several long courting and wooing choruses I spotted these two, all puffed up and looking like an old married couple. My Mum would use the term “Darby and Joan” to describe this scene. 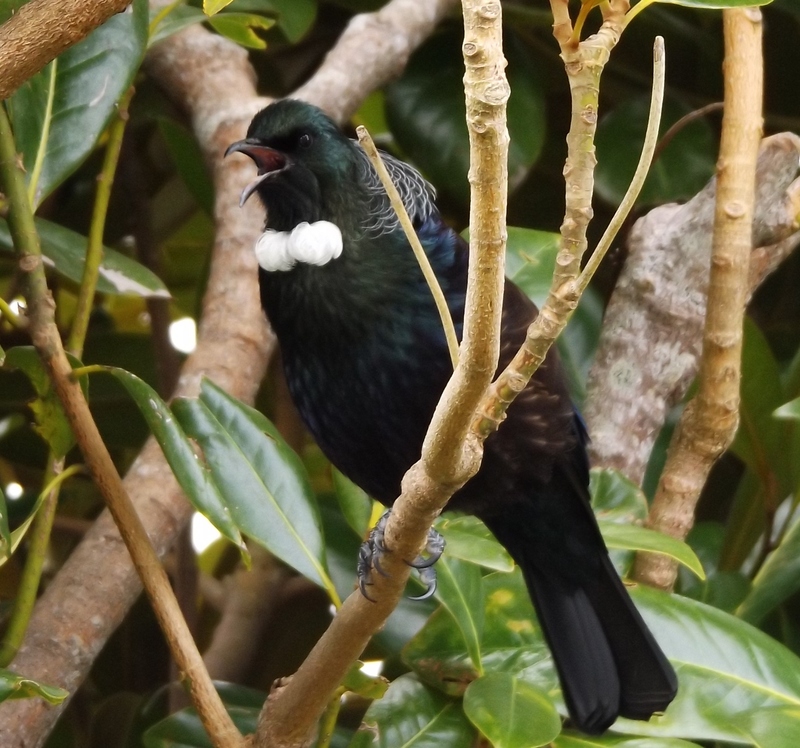 Tui do not like to share space, especially as the males are establishing their territories in which to breed right now. So to see two birds sitting side by side so amicably was a surprise. The cosy scene was quickly shattered as a rival bird flew into the tree. This caused the female companion to flee and the male to look above to see where trouble lay. 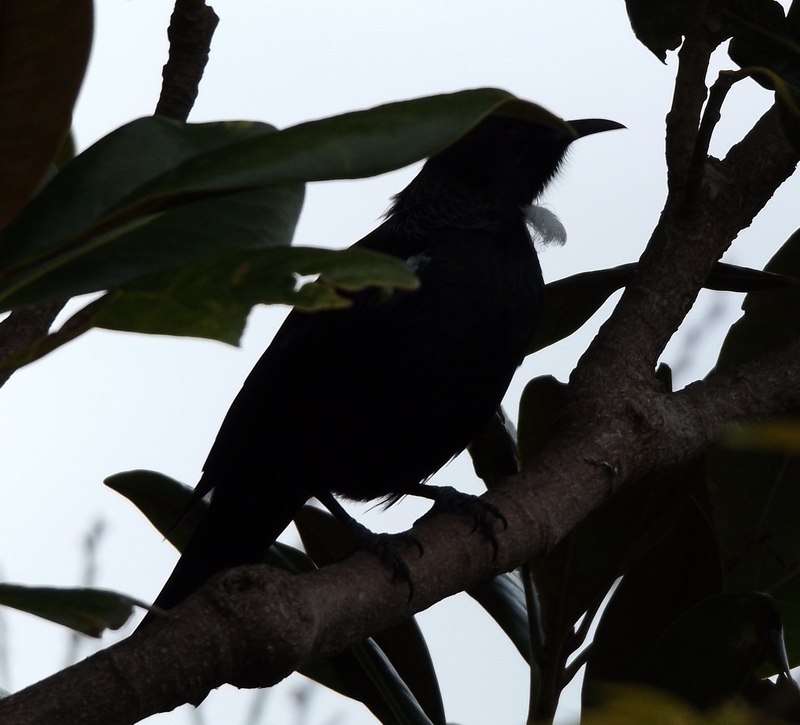 Within seconds the tree was empty of Tui again. Did you spot the sparrow photo-bombing in the last photo? I spotted Darby and Joan together in the garden this morning again but they flew away too quickly for me to photograph. 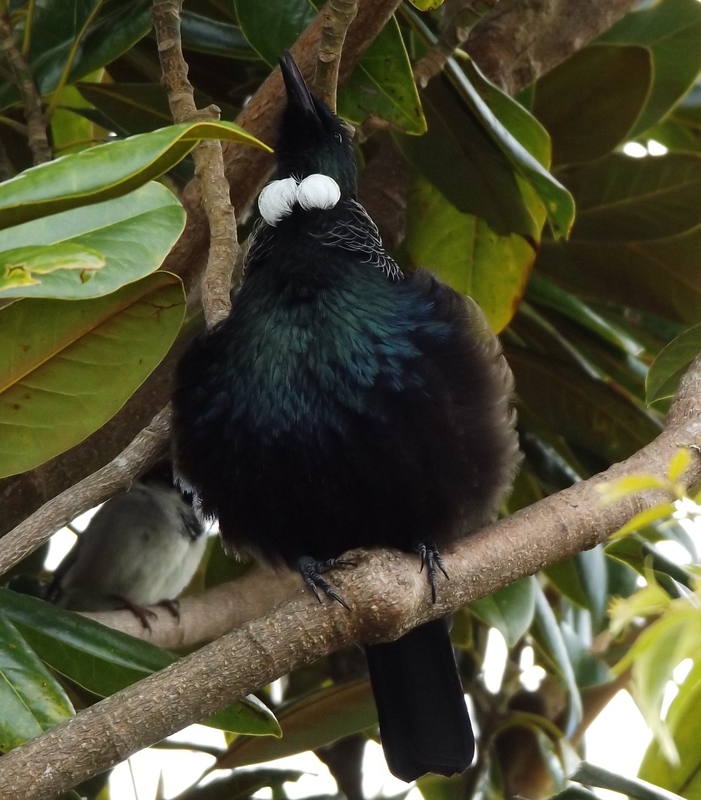 This entry was posted in Uncategorized and tagged "Darby and Joan", birds, breeding, courtship, Magnolia tree, NZ native birds, photo-bombing, sparrow, spring, Tui, Tuis, Winter on July 29, 2014 by ordinarygood. When the sun has been absent for long stretches of time and the rain has dripped and drizzled or poured down on and off for weeks, a sunny day is such a tonic. Yesterday was a warm and sunny day. I took my lunch outside and soaked up the healthy Vitamin D on offer. I could feel the goodness raising my spirits. 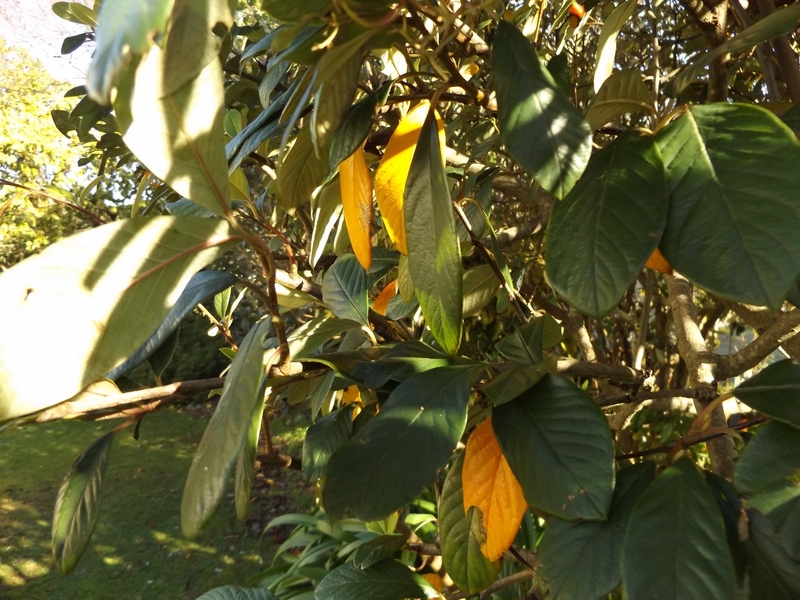 I checked the magnolia and the bud I have blogged about here. 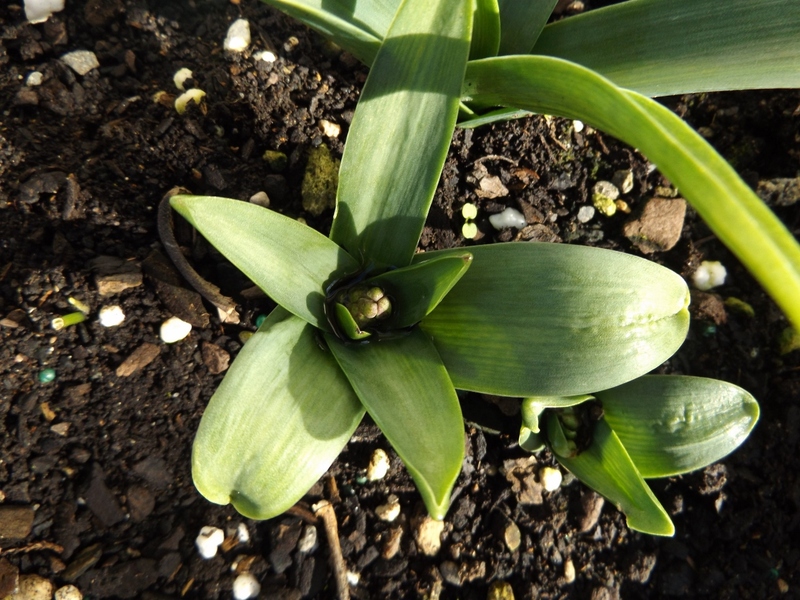 Like me the buds have been waiting patiently for the sunshine and warmth. 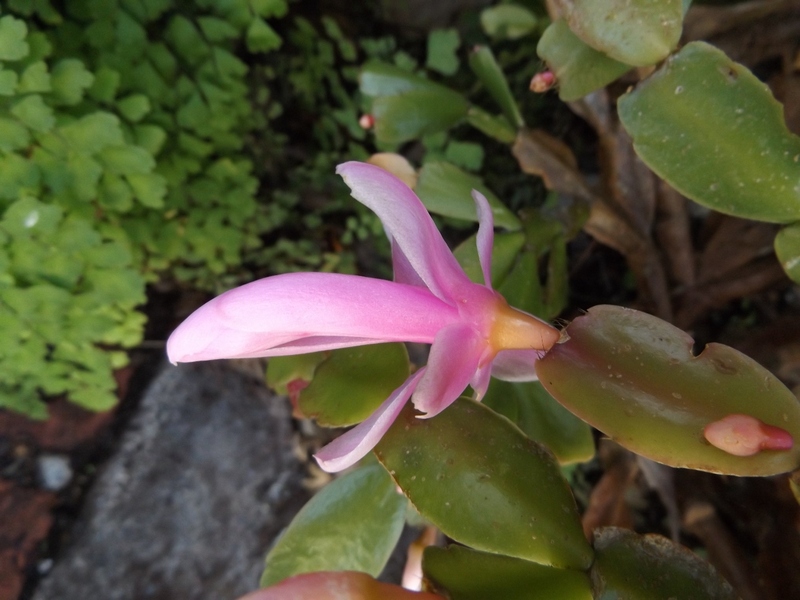 Look at the soft suede-like petals, happy to open, at last, in the right conditions. And with the aid of the macro on the camera have a peep in here. What beauty is held within the cup of petals. 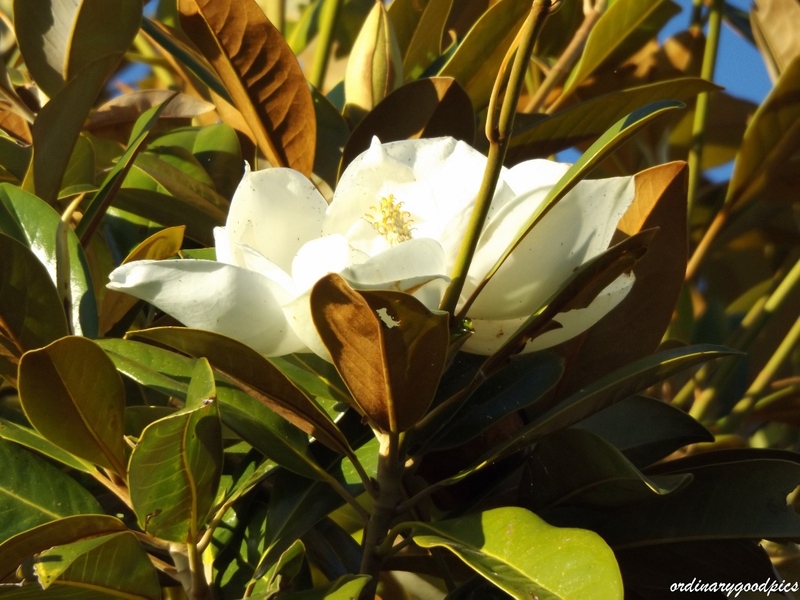 This entry was posted in Uncategorized and tagged Beauty, deciduous tree, garden, inspiration, magnolia flowers, Magnolia tree, nature, photography, spring, sunshine on August 24, 2012 by ordinarygood.